This is one of my favorite “I can pretend it’s not bad for me because it has fruit” desserts. It’s easy to make and makes a good base for ice cream. Then again, what dessert doesn’t make a good base for ice cream, right? Haha, so here we go. Preheat oven to 375 degrees while you chop apples. 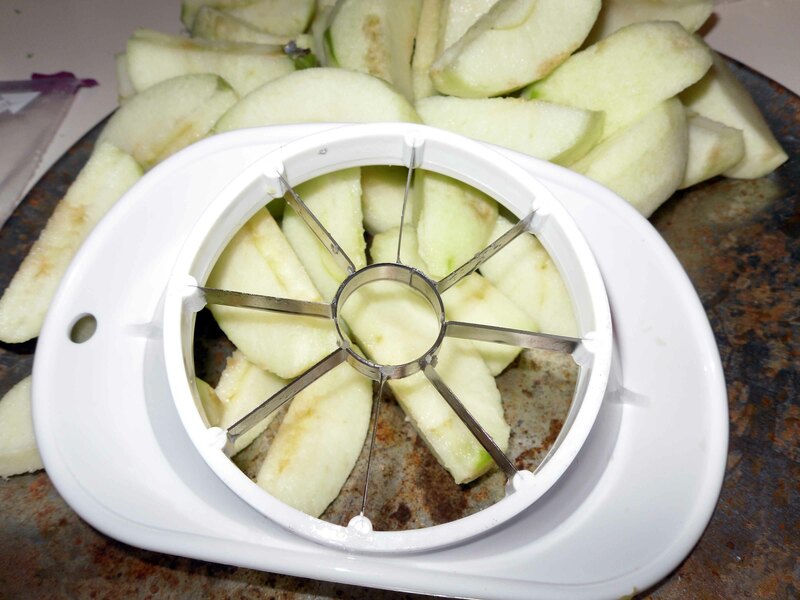 If you don’t have one of these apple corer/slicers you should really get one! They make coring and wedging apples a dream! I use it, then cut each wedge into three pieces. Mix the oats, graham crumbs, and the thirds of a cup of walnuts, brown sugar, flour and butter and the half the cinnamon; set aside. Toss the apples with a teaspoon of cinnamon to coat. 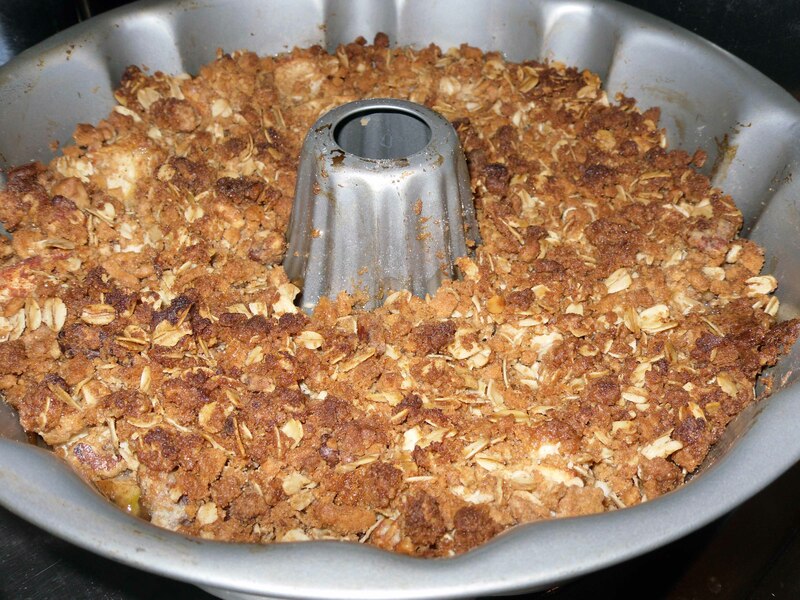 Place your apple mixture in an 8 x 8 pan or I like to use a Bundt pan because the apples get done faster and there are more crunchy bits. Sprinkle the topping over the apples in whatever pan you chose to use and pop it in the oven for 30 minutes, longer if your apple pieces are large. 40 minutes if you use traditional apple wedges. Now cool for a few minutes if you can stand it and slap some good ice cream on top and you are all set! It’s good for you after all!